This is a job well done. I saw an article about this and was determined to have a look. Now if only those promoting it had been sensible and given an address. As it is one of the photographs had a very distinctive building across the road. So we drove around the back of the gardens till I spotted the building, and there we were at Gate C, opposite 54 Anderson St South Yarra. Note to park management, engineers, landscape architect and anyone else involved. Please mention the address in any future articles. 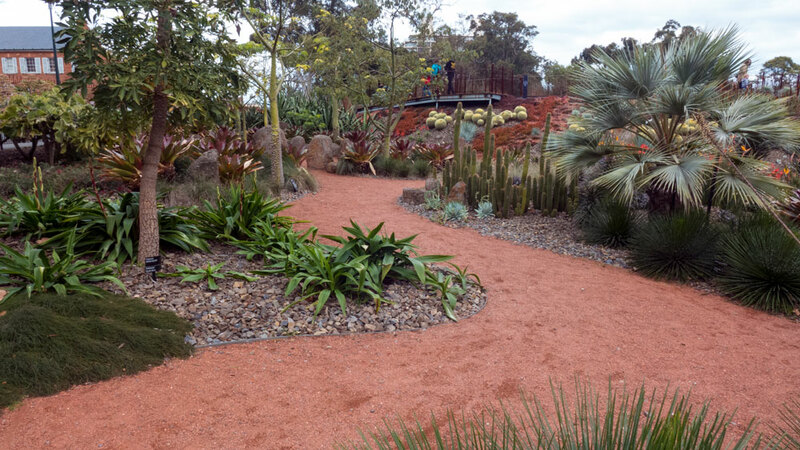 This next image is not mine – I borrowed it from the Friends of the Botanic Garden’s site to provide an elevated view of this very attractively designed corner of the Botanic Gardens. The rest of the photographs are all mine and represent twenty minutes of meandering about this compact garden. The volcano was originally created back in 1867 but it is only now with the new works that people can wander up to the top easily. It has always been about saving water. 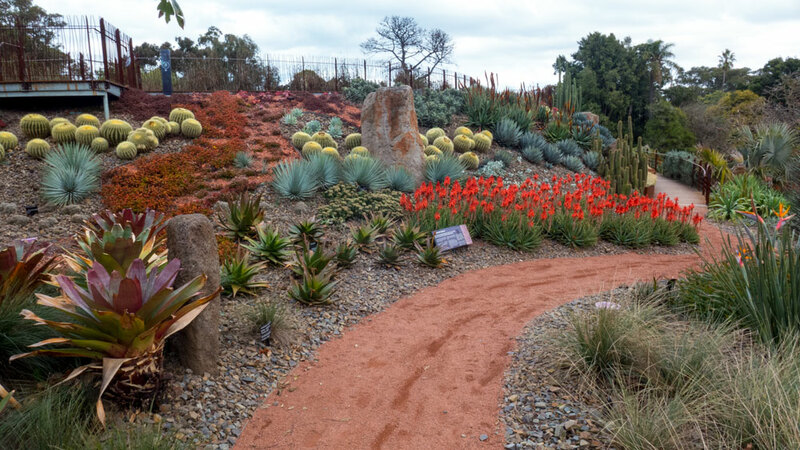 Now the revamped work is part of very serious and dedicated work within the Botanic Garden to harvest and to care for water usage. 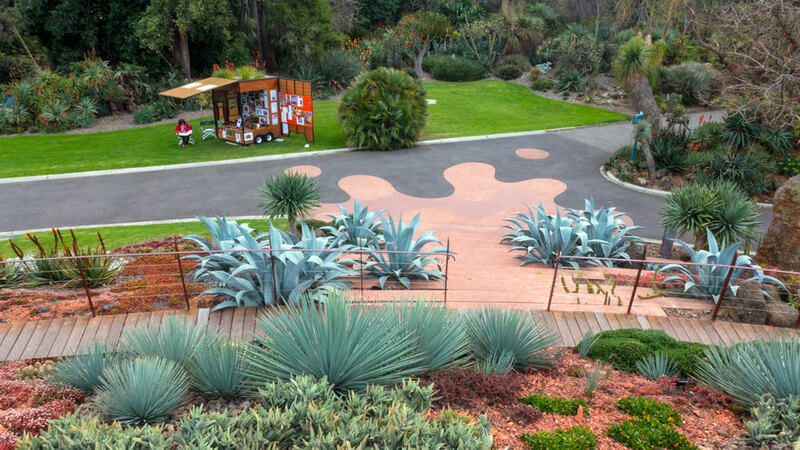 They definitely are working to do what they can to adapt the gardens for climate change as it continues to kick in and effect important cultural assets such as these botanic gardens. 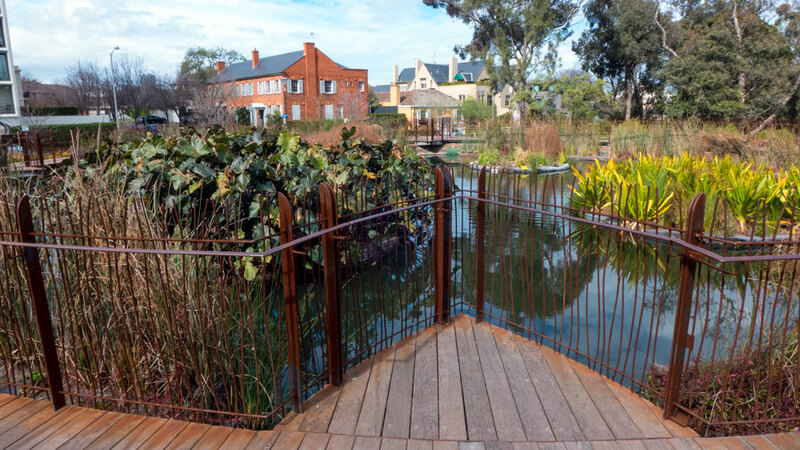 The garden management, with the design work of the landscape architect Andrew Laidlaw, has delivered small masterpiece of water management and garden design. 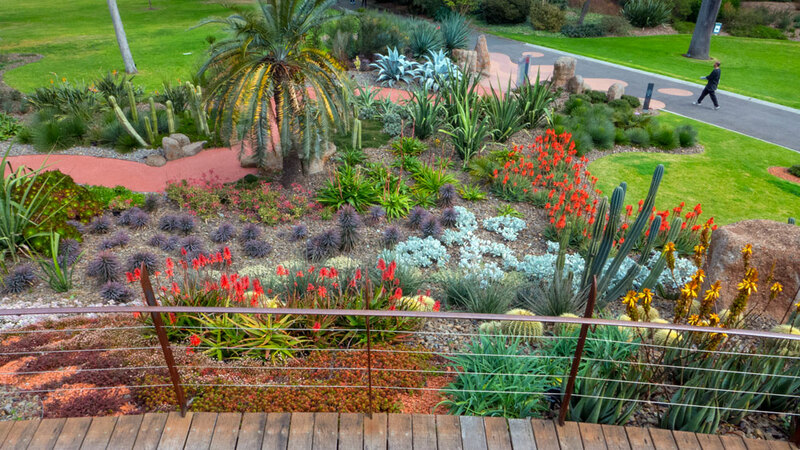 It is a beautiful addition to the many layers of the whole of these botanic gardens. William Guilfoyle’s influence is everywhere throughout the gardens. 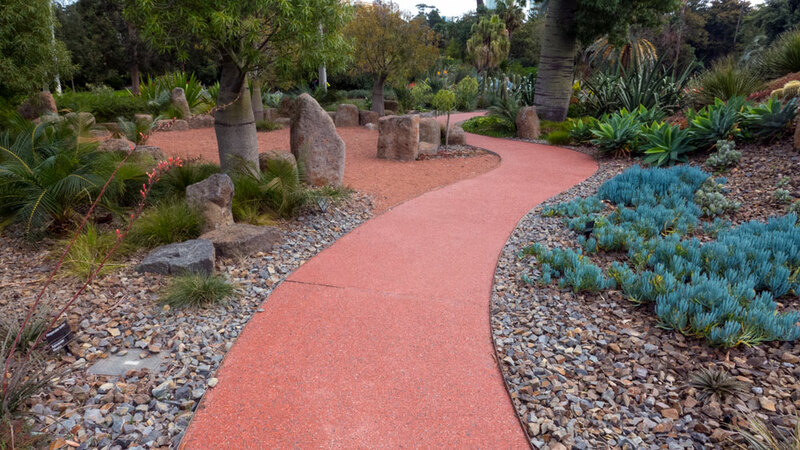 I suspect that some landscape designers are still using his basic concepts today; although I know one firm in particular who would not acknowledge this. 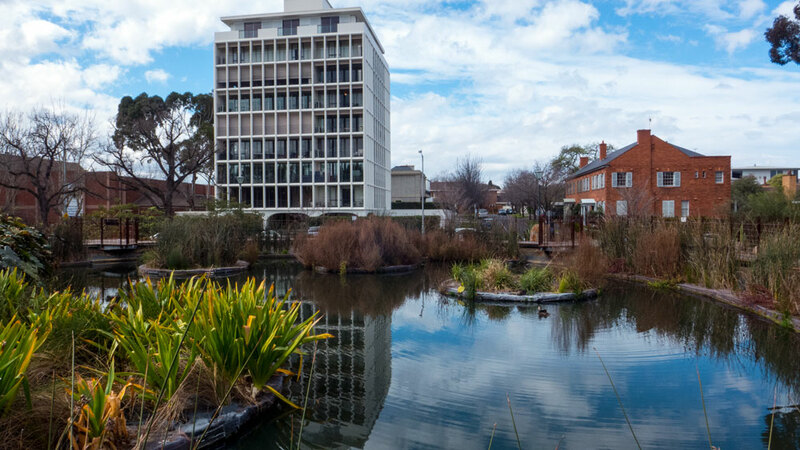 The pond has floating plant islands with roots that then assist with the flirtations. 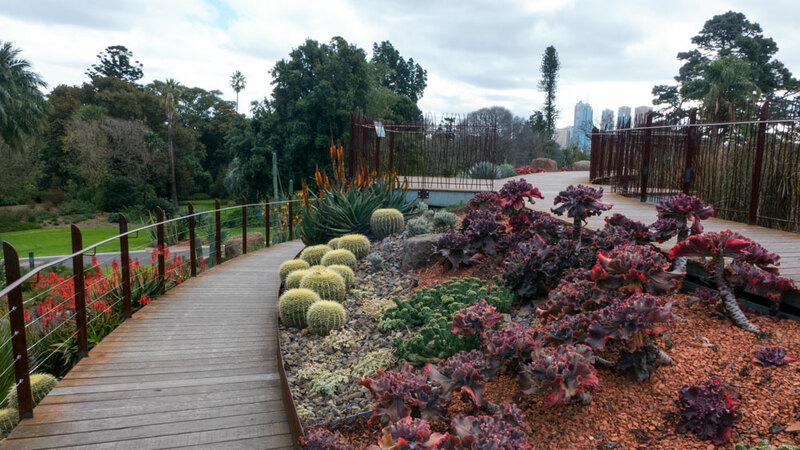 It is a beautiful thing to walk around, then up the paths to the top to take in the water features, the plants and the views across the parklands to the city. 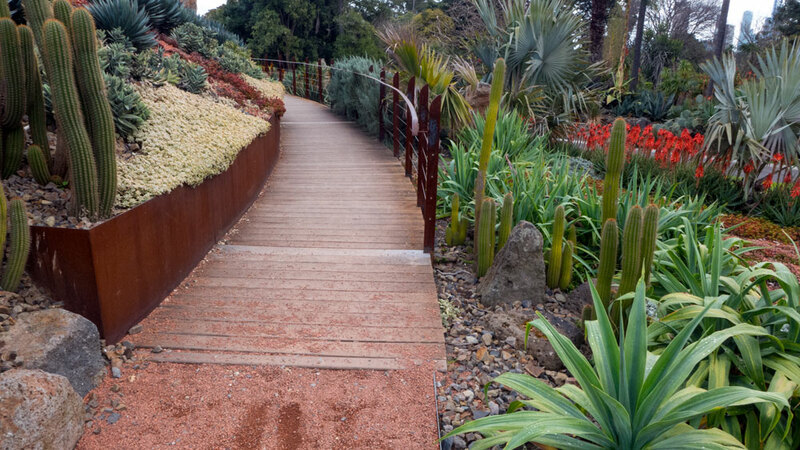 Then you need to take your time to wander down into the lower gardens. 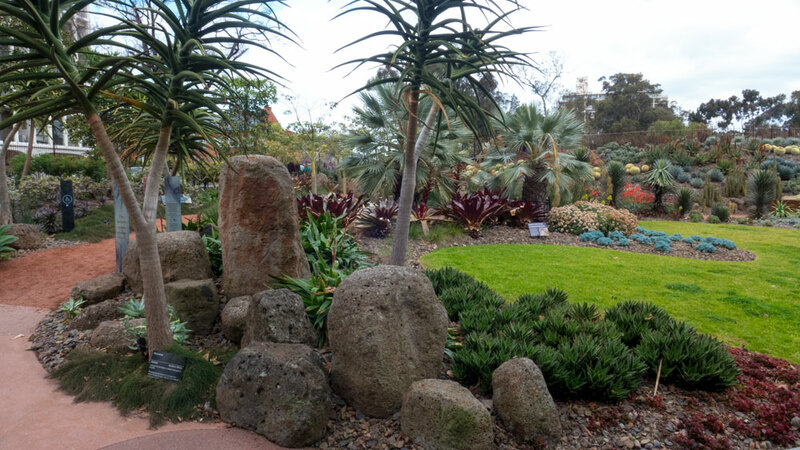 Full marks to the Melbourne Botanic Gardens. They really know how to enhance and to maintain this important open space and complex set of gardens. And congratulations to Andrew Laidlaw and his staff for a job well done for their part in the design work. I highly recommend a visit, and then wander off to anywhere within the larger gardens. There’s plenty to see – watch this space for more photographs. And a reminder, the address: Gate C, opposite 54 Anderson St South Yarra. If you are lucky, on the street around here, it was free parking on the weekend. (metered parking applies in the park). more details from another blog – click here. PS: I have not listed all the talented key people involved. If anyone wants to send such a list then we would consider uploaded that list provided it has been verified. Recommended: Rating 10/10. A Sustainable Settlements Gold Medal!